I don’t know how Joyous Chaos does it but every show they put on is a blast. From the simple laugh to the “oh goodness, can they say that?” laugh, the improv team never lets their audience down, giving the crowd a night full of laughter. Like what you see? Joyous Chaos has one more show in the works for 2018, landing “I think it is the week of finals,” said one particularly handsome yet anonymous comedian within the group. Keep your eyes peeled! Also, RIP to baby potato. 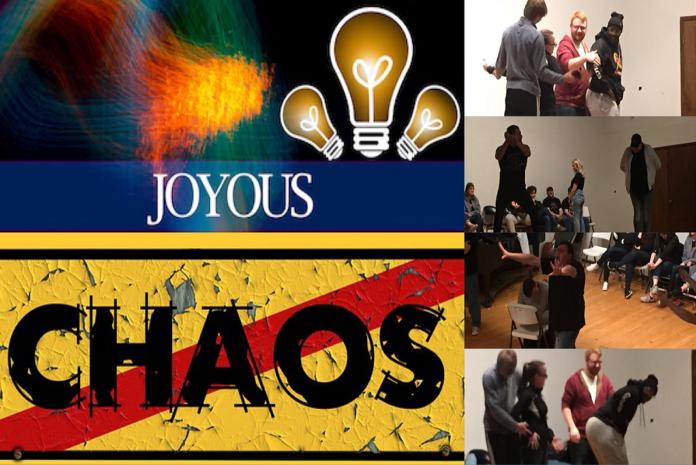 Joyous Chaos and the November Improv Show starring Joey Clinton & Emily Gaffner!